Cast Members NOT present at the reunion: Liz, Alan, Chase, Ashley M, Natalie N, CT, Julia, JP, and Shaleen. 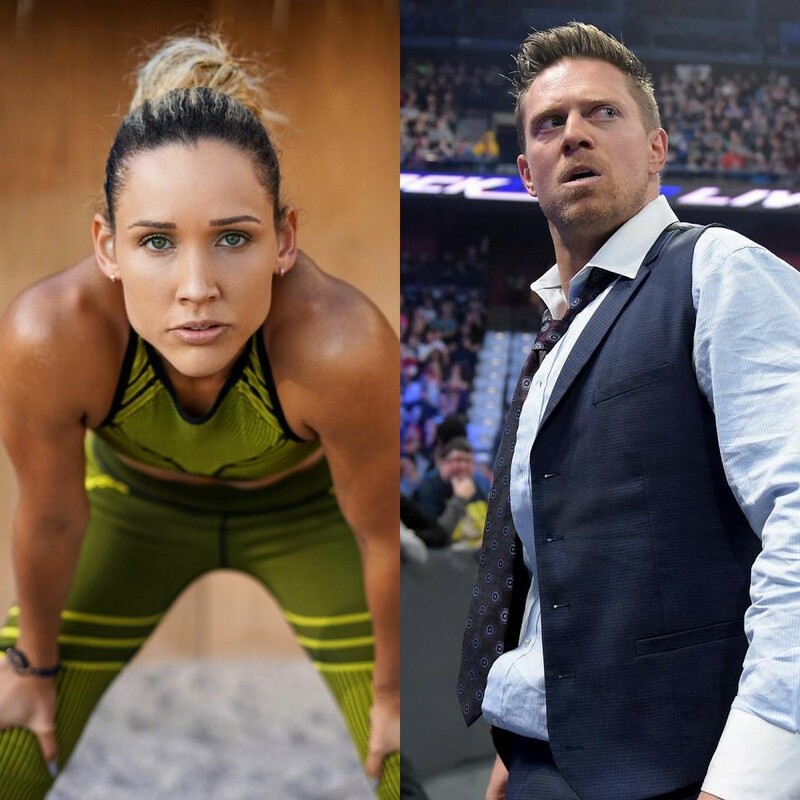 Hosts: Lolo Jones and Mike "The Miz"
After the cast walk in to the stage Johnny Bananas decided to yell out to everyone that Wes was in the audience and that he needed to get back on stage whilst pointing at an overweight ginger kid, a few of the cast members laughed but it was awkward and really rude felt bad for the poor guy. The first topic of conversation was Kam and Leroy's relationship. Basically the story appears to be that they were together for a while before the show and when Kam went to visit him in Las Vegas and was looking for a house in Vegas, she went to meet up with some other people one day whilst Leroy was at School, Leroy claims she only knew him and Kailah in Vegas so didnt understand who she could be seeing, and when speaking on the phone to him she was very coy about it all. So when she came back to his place that night he kicked her out and that was the end of their thing. Then they started arguing about what happened on the show and basically about Leroy thinking the whole story wasn't shown. Kam thought that Leroy is just mad because he thought Kam would get a bad edit and actually he did, and said the edit was accurate. Leroy kept trying to bring Dayvonne into the arguement, saying that Kam shouldnt have gone for Theo because Day had already said she like Theo. Day wasn't interested in the whole converstation and just sat quietly. Cara chimed in about the situation, Leroy shut her down saying that she couldn't talk about his **** given the mess of her relationship, Pauly and Leroy argued. For the first 2 hours it was just Leroy shouting at everyone. Lots of Paulie Cara talk with bananas saying that Cara came to him when it all came out about Danielle saying that bananas was eirig about Paulie but this started a fight with paulie. Josh and gus got into it about the whole camera time situation with Josh adamant that this was said and Amanda backed him up! Gus looked a bit of a fool to be honest. Davonne read out kams note and kam apologised for hurting davonne, davonne liked Theo and just wanted kam to be honest about liking Theo too which she apparently wasn't . Lolo asked Nany if she felt turbo should give her some money cos they were a team and she said no he won it on his own and also nany and Cara had a discussion about Cara saying she could say nanys name. There was a bit where Leroy called out Zach. Bananas was talking about Bananas and then Leroy asked who is the most untrustworthy person. Bananas never answered so then when Bananas finished his speech. Miz asked Leroy who is the most untrustworthy person and he said Zach and went off on Zach. Miz then said let’s leave this for later. Leroy acting all big and bad as bananas pit bull. Leroy and Bananas were so mad at Zach accusing him of just going to the show to collect the first pay check and then get back to go to a wedding. Zach said that he did not want to say why he needed to go home as it is very personal, but it came out that there was a death in the family. Bananas said that his Agent had arrange with Zach for him to be a lay up and that Johnny could pick him for an elimination if need. Zach said the agreement was true but didnt give explaination as to why he went back on this. Why Leroy and Bananas claimed he was working with Wes, he denied it till the end. Wes claimed the ball was only thrown to him because he waved his arms for it and that Zach is a true athelete and that any true athelete has the natural instinct to throw a ball at someone when they wave their arms. Leroy and Bananas said that Zach has been known to work with Wes in the past and that he was doing so on Battle of the Exes 2. Throughout this whole segment Zach kept questioning why Leroy was so mad about the whole situation when he has never done him bad on any show. Zahida was asked what she thought about the whole situation with Zach wanting to go home, and she said she was confused and didn't realise. Johnny said when they saw the cast that Zach picked Zahida out as his parner straight away because she looked so weak. Zahida cried. Amanda took the oportunity to let everyone know that this is what Zach is like. Lolo being bored to ****. Leroy said that kam is completely different off stage when all the makeup and wigs come off. Georgia shouted that he shouldn’t degrade her like that. They went through each hook up in turn, it was the same story for each. The girl likes the guy, the guy has a "cousin" back home. Paulie was quite funny and said that bananas is pathetic and cannot win elimination so he has to agree to fake a win. Zach admitted that was the agreement . Bear and Georgia and the "Cousin" at home. Cousins at home started to become a running joke as it seemed every guy in the cast had a girl back home. Georgia couldn't really care less about the Bear situation, although they did have an arguement about last night and whether or not she was naked in his bedroom. She says she wasnt, Bear said her top was down and her skirt was up. Went back and forth a bit until Bear made the whole studio erupt with laughter by saying "her top was down and I was sucking her *******". The Miz could not stop laughing for a few minutes. The conversation then moved on as to why Cara felt the need to tell Georgia that bear was on the phone. Day said she was doing it to stir the pot. Cara and Day had a hilarious argument. Day was on absolute form, the audience was howling. She wipe the floor with Cara verbally. They talk about Zach and Jenna's relationship and Amanda telling Jenna about the dating App. Jenna and Amanda argued across the stage. Apparent he went on it in South Africa to see who was about. He saw crew members on there and screen shotted it and show Amanda and Day at dinner. Amanda very proudly explaimed that at dinner she didnt make a big deal out of it but that was keeping it as ammo for when she needed it and that Zach was so dumb and didnt realise. Amanda said that the real problem was bumble but something else which she wasn't going to discuss on the show. Zahida shouted asking who wants to know what the secert is, tell us, Lolo also asked to know, Josh who was sat next to Amanda shut it all down and told everyone it would be ****** up to discuss it. Later on they show footage of Nany saying that Zach was mentally abusive to Jenna outisde the show. Nany some how manage to talk her way out of an argument but Jenna did ask why she felt the need to be telling that to Theo and Turbo of all people. Didn't really go anywhere, Nany said she had just spent the weekend at Jenna and Zach's house, they are clearly friends outside the show and that footage didnt cause any impact. Bananas and Morgan, when quested they said they didnt want to discuss the status on TV as they have both given enough to these shows in their life and Morgon got crucified on her last reunion show. Anyhow Morgan wanted to clarify to everyone that she is not just a hook up. Bananas wanted an apology from Davonne for making the youtube videos and contribuiting to the blowup of tape gate. He said it could have potentially messed with the show and the careers of everyone. She apologized and Amanda said it was all in good fun and there was no malicious intent. Bear, Zahida, Georgia, Theo, Kyle and Bananas were involved. Davonne wasn't there when it happened but helped Amanda get the tape out of her hair. Someone is going to end up dying. It's like they dont know how to find a happy medium. Johnny needs to go away for ever. "Matty quit the final early by saying she's not a runner and was just happy to make the final"
Martha lmaoooooooo will she be able to come back? I was really liking Wes this season but that lie was ****** up. Especially since we know that only further opens the door for certain type of people to use it to attack her. He's been on the show too long to claim ignorance to what some fans are like either. For some reason that kind of makes me like Mattie more lol. Didn't MTV back her up though and just confirm that Wes was lying?? And I hope they cut out most of John's segments lol He's so irrelevant to this season.. Also I hope Day doesn't give too much energy to Cara, she's not worth it. We predicted her body wasnt made for long distance running, not that she would quit and be happy with 7th place. I actually dont think she's that bad, she was just overhyped way too much when it was filming, which is no fault of hers but the expectations were extremely high nonetheless..
Baking biscuits for all the flip floppers that are about to jump back onto the Kam train.